The California Energy Commission (CEC) approved a rulemaking on the 2019 Building Energy Efficiency Standards at a meeting yesterday. 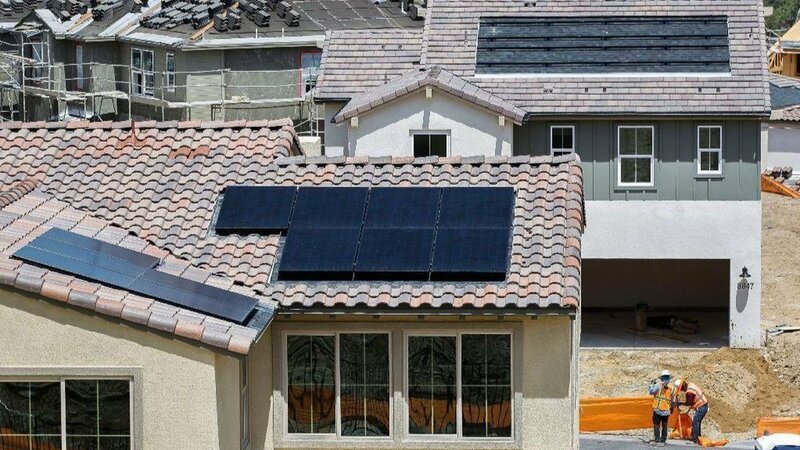 The standards require new homes to have solar PV systems that are sized appropriately to displace the annual kWhs of a mixed-fuel (natural gas and electricity) home. Exceptions to the requirement include, for example, shading due to external barriers and multi-story buildings with limited roof space. No requirements were included for battery storage paired with solar PV, but storage was included in the standard as a compliance option. According to a CEC analysis of the standard, the solar PV requirement would result in the addition of approximately 200 MW of distributed solar PV per year in California. The U.S. Energy Information Administration estimates that California had over 5.7 GW of small-scale solar PV installed as of May 2017. The CEC said that about 1.2 GW of those small-scale systems were installed in the previous year, well above the estimated 200-MW annual installations associated with the standard. Residential solar PV mandates currently exist in four California cities — Lancaster, Sebastopol, Santa Monica, and San Francisco. The Solar Energy Industries Association (SEIA) welcomed the CEC’s decision.